Busan (Pusan) is the largest port city in South Korea. With a population of about 4 million people, Busan is the second largest city in Korea after Seoul. The most populous areas on Busan shore excursions were built in the narrow valleys between Nakdong River and Suyeong, with mountain ranges cut through many districts of the city. Busan was the venue of the Asian Games in 2002 and the APEC summit in South Korea in 2005. Administratively, Busan is considered as the autonomy area. On November 14, 2005, the city of Busan officially became the host of the Summer Olympics in 2020. The beautiful port city of Busan shore excursions in South Korea is well endowed for the spectacular coastal scenery, wonderful beaches and majestic mountains. 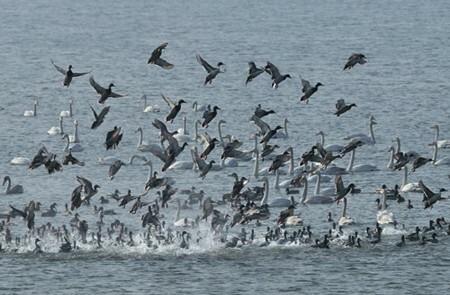 Busan climate is influenced by the ocean, humid all year round. The average temperature of the city is from 15 to 22 degrees C. Spring in Busan last from April to May, it is a good time to visit Busan day tours due to cool weather, it is the time of cherry blossom season, chamomile, lavender in countryside area. Cherry Blossom Festival in April is the best time to visit Busan. 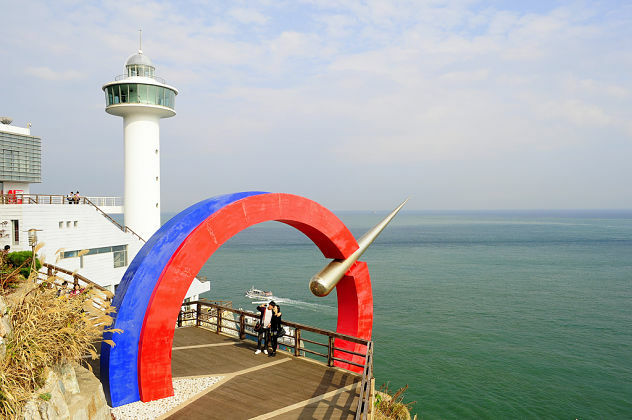 Summer in Busan shore excursions runs from June to September, the weather is usually hot and humid. From late June to early July is monsoon season. This is not the appropriate season to visit Busan day tours. 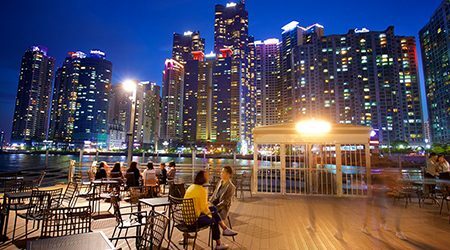 Asia Shore Excursions is offering the best Busan shore excursions for cruise passenger stop at Busan cruise terminal, Korea. Please contact us to get the greatest Busan shore excursions. If you do not find any suitable Busan tours and day trips, you can surely tailor a shore excursion to suit the prices and interests. 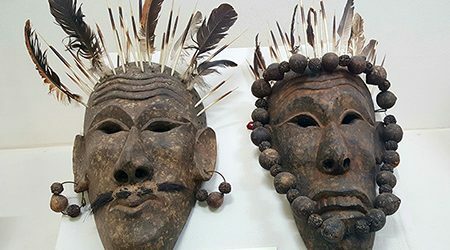 Is it possible to do an 7 1/2 hr tour by eliminating some of the itinerary? If so, what would be the price for 2 people? Thank you for your request. You can surely tailor-make a shore trip in your favor. Please check your email for detailed information. 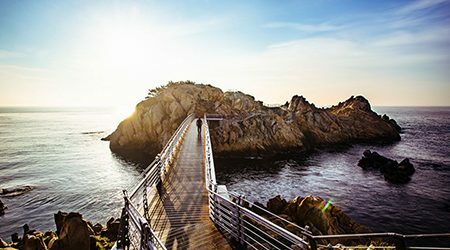 Is it possible to shorten the tour to 7 1/2 hrs by eliminating some of the itinerary? What woul be the prie for the shorter tour for 2 people. Thank you. We would like to do this tour in 7 hours for 6 seniors. What would be the price? Thanks for your comment on Busan shore excursions. Please check your email for the detailed quotation and contact us for any other information you want to know. I did not receive your email regarding a tour for 6 seniors of about 7 hours. What would be the price? The email can be lost in the spam or junk inbox. We already resent a new email about the detailed quotation on this Busan shore excursion. We are on the Azamara Quest arriving Busan on the 4th May. We would be interested in a tour of up to 8 hours. Could you please e-mail the costs involved for just two people. Thanks for your request. Please check your email for the detailed quotation on this Busan shore excursion. Is it possible to do a shorter version of this tour? We will be arriving on the Diamond Princess on 26 June and also 30 June? It is for four people but we would be happy to be part of a larger group. Thanks for your request. Please check your email for the detailed reply on this Busan shore excursion, and freely ask us any other question. Hello, we are 2 passengers arriving on the 21 of April on Celebrity Millenium that will be docked from 7:00 AM to 4:00 PM. We are interested in booking this excursion but short enough to catch our ship. Is it possible to do it? Thanks for your comment on Busan shore excursions. Please check your email for the detailed quotation and ask us any other question you may have. 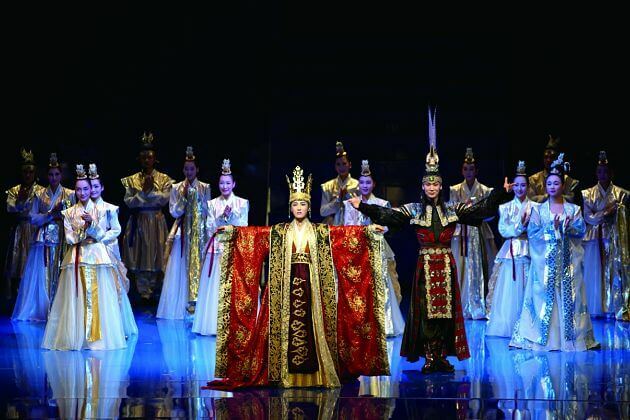 Busan – the second largest city in the country – is a must-visiting destination in Korea shore excursions. Lined up by streets full of skyscrapers and modern buildings, this city still maintains many traditional values. Hop on a Busan shore excursion to taste all of its favors. Beomeosa Temple stands on the top of Mt. Geumjeongsan that can be seen everywhere inside the city. 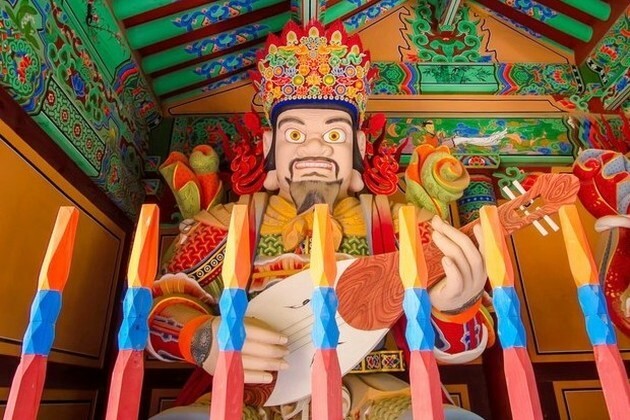 The temple has become one of the most delicate and luxurious structures dated back to the Joseon Dynasty that included in almost all highlight Busan shore excursions. 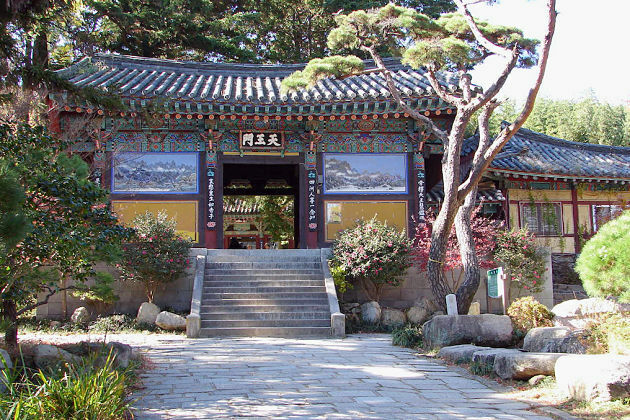 Due to be built on three elevations of the mountain, the buildings in the ground of Beomeosa Temple features a certain coziness when you have a stroll along the temple. Once you approached, you will be mesmerizing at the One Pillar Gate built on the foundation of four giant-sized stones combine with a splendor crown-shaped roof. When you step into the main hall, you can be surprised at the crowd gathered here to chat and pray. Yongdusan Park, which means “Mountain with the shape of Dragon Head”, is believed to hold a spirit that can defeat the enemies coming over the sea. 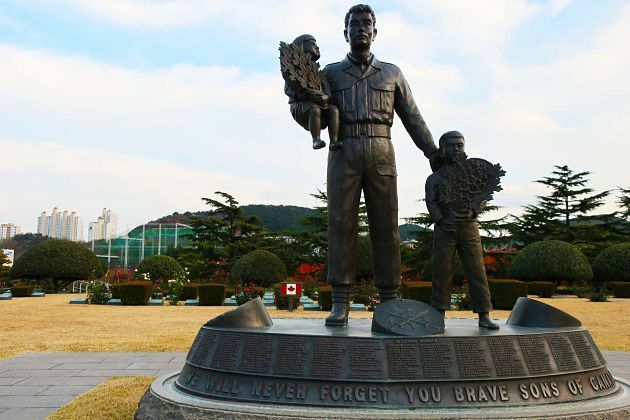 Not simply served as a park, Yongdusan is a popular mountain, a sacred shrine in the old time, and now it changed into monuments dedicated to Korean War victims inside the modern city Busan. The highlight of the park is the Busan Tower with the height of 120 meters which offers the stunning night view of this city. The observation deck also provides the place to both enjoy the view and sample a cup of coffee, snacks, and ice-cream. Climb up the staircase where you can take some fantastic photos. The United Nations Memorial Cemetery, built to the memorial for soldiers from 16 countries who died in the Korean War many years ago, will highlight your shore trip to Korea. The cemetery is the only UN memorial in the world with some special sites that you will visit in Busan day tours such as Memorial Service Hall, Memorabilia Hall, Monuments for several countries including Turkish, Greek, Australia, Britain, and two beautiful ponds. Moreover, various annual events held here, almost all are praying for the peace and reminding about those who had given their lives for the upholding peace and freedom of later generations. Take one-minute silence in front of the stone memorial with bronze panels erected to memorial about them. 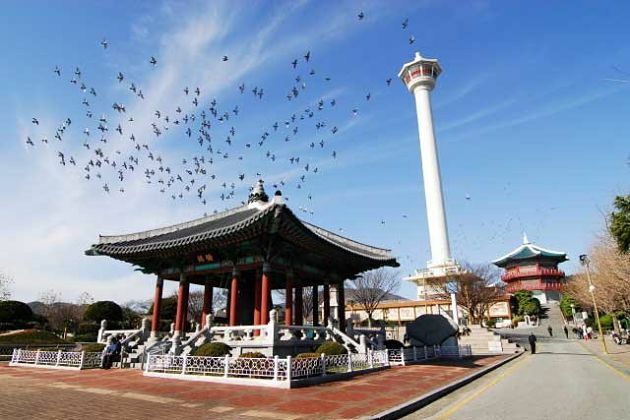 Taejongdae Park is one of the most popular attractions in Busan shore excursions. With the quaint sea cliff, lush green forest, crystal blue ocean, and spectacular view looking to Oryukdo Island, the park is not only the symbol but also an important monument of this city. Besides a lovely side path, there is a splendor lighthouse at the end of the trail. Jagal Beach nearby provides lines of delicious seafood restaurants that you can sample soju and kimbap – the traditional wine and dish of Korea. Gukjesijang is a famous market which served as a home for refugees to inhabit through Korean War. It became one of the most bustling markets in Korea shore trips nowadays where both locals and foreigners visit around the year. Soak in the old-fashioned spirit, Gukjesijang provides a plenty of goods from electronic households to vegetables, fruits, and clothes. Pick up a set of hanbok – the traditional dress of Korea, and take some wonderful shots to remind about an interesting Busan day tour. Hop on a Busan shore excursion, you cannot miss the chance to have a look at the daily life of locals here, especially in the seafood industry which clearly reveals the features of a country bordering the ocean. Jagalchi Market the largest seafood market in this country. 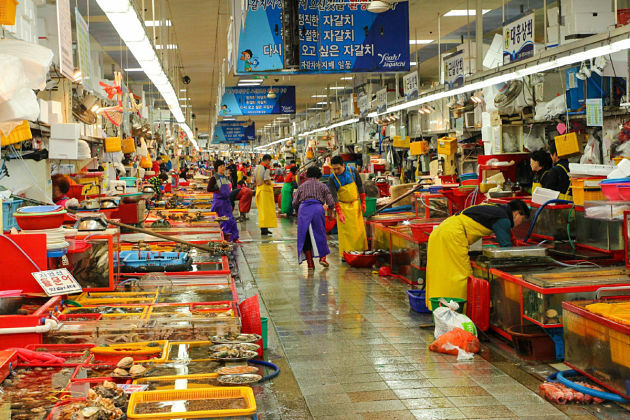 This market can represent the city of Busan and is famous for its large number of both fresh and dried seafood. 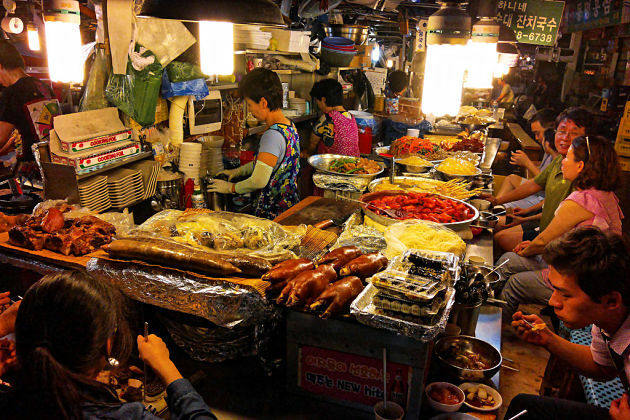 This market is always considered as a must-visiting place for those who are the fans of Korean cuisine. The market is lined up with numerous stalls and food vendors run by friendly middle-aged women. You can find every kind of seafood here from crabs, eels, red snapper, flounder to many other strange creatures. Dried seafood is also sold in the market such as dried squid, octopus, codfish, anchovies, and seaweed. Climb up the second floor to have a delicious meal in a local restaurant.